Headlines like the one above makes one wonder how children are brought up these days. Are they taught the right values at home and in school? Are their parents leading by good example? 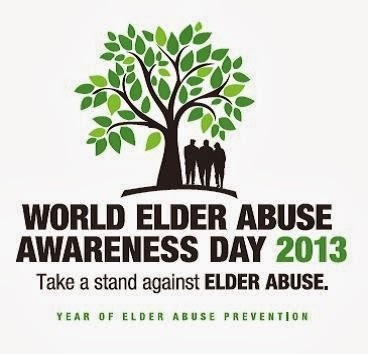 In many countries parent or elder abuse is on the rise. In Singapore, the number of reported cases of abusive adult children has gone up from 160 to 240 a year over the past three years. One can assume hundreds more cases go unreported. it reflects badly on their own parenting. So these abused parents, mostly in their 70s and 80s, continue to suffer in silence. This is certainly not the way they should be living their remaining years. 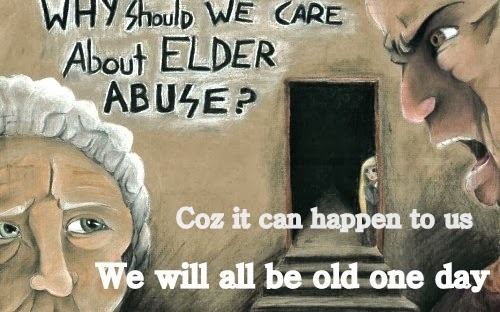 As long as they don't report the abuse, nothing can be done to help them. The key lies in building a strong bond between parents and children, and nurturing this bond through the years. Children who are neglected or abused, are more likely to grow into adults who are abusive towards their parents. Certainly there are other factors that come into play. Adult children who are struggling with their own problems may vent their frustrations on their parents. These problems range from heavy debts to drug addiction. But this is no excuse for them to take it out on their elderly parents. There are also highly educated, successful adult children who are ashamed of their illiterate parents. They have no qualms or guilt about confining their parents to a room at the back of the house with strict orders not to come out when there are visitors or guests in the house. To quote a media statement issued by Karpal Singh of the Democratic Action Party (DAP) dated 12/3/07, "... it is the duty of adult children to maintain their parents in old age for the simple reason their parents provided for them up to adulthood. The Government should give first priority to the enactment of the Maintenance of Parents Act as soon as possible." 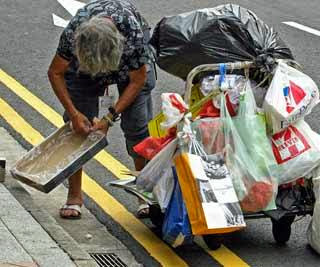 Mr Lum Kin Tuck, former president of the National Council of Senior Citizens’ Organisations Malaysia (NACSCOM) has also called on the government to set in place a systematic safety net for the elderly. Cases of abandoned parents are also on the rise. 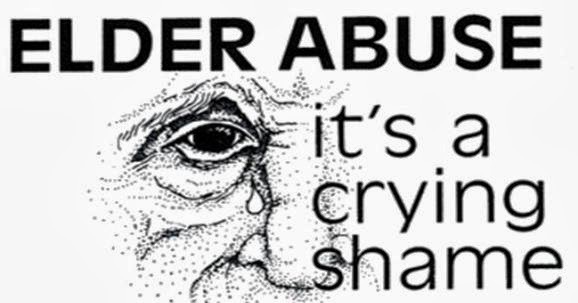 The 2010 census conducted by Malaysia’s Department of Statistics shows that 675,000 citizens aged 60 and above have been abandoned and do not receive financial support from their children. 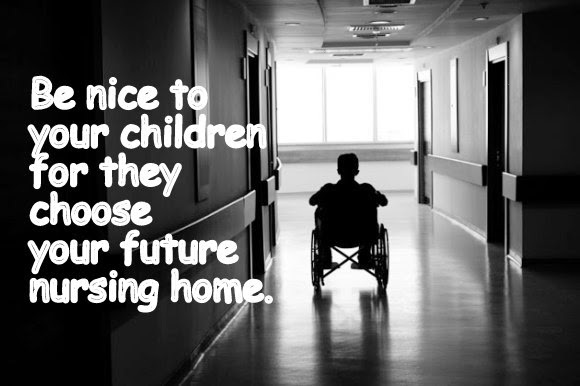 This means that one in three senior citizens have been deserted by their children. It is only in the last couple of years that the government has made some effort to address the plight of abused and abandoned parents. It is not enough, and more importantly, not sustained. The only recourse left to abused parents is to seek help from relatives and friends, and NGOs that are sympathetic to their case. look after your health so that you remain physically active and independent as long as you can, right into your 70s and 80s. protect your property. Do not hand over the deeds of your house prematurely. You need to ensure a roof over your head at all times. know you are not alone in this. Join a support group. 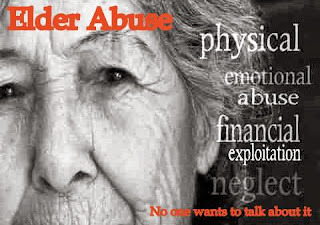 Click here to know more about elder abuse. Unfortunately, it seems to be a growing trend here in Australia too. My mother is 93 but when they were in their mid to late 60s (my age now) she and my late father chose to move into a retirement village in independent living. My mother still lives independently and is well looked after and very active. I've decided to do the same thing next year. The retirement villages here are more like resorts but with different levels of living. I believe that by doing this, I take any obligation off either of my daughters to feel the need to look after me. It's the last thing I want. I have my life, they have theirs and I wouldn't have it any other way. Having said all that, we are close and my eldest daughter has repeatedly suggested I move in with them. I've explained, after thanking her for her thoughtfulness, why not and she has no problem with my plans. I'm very aware that I'm one of the fortunate parents. I read the above article with great interest and I like the views expressed by two readers. The main thing is to look after your health while you still can so that as you age , we all will , you will be independent no matter where you are placed, thrown, got rid of, choose to live, whether alone or with others. We will reap the harvest if we devote a little more time to the care of our health.